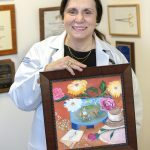 A State College woman received a lifesaving liver transplant at Penn State Health Milton S. Hershey Medical Center. 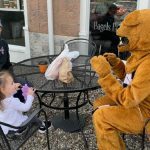 In honor of National Doctors’ Day March 30, several Penn State Health providers visited three area coffee shops to share a cup with patients and neighbors. 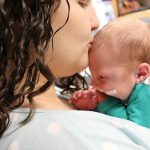 Penn State Health surgeons and the Lancaster Cleft Palate Clinic helped a baby boy overcome a rare condition that causes breathing difficulties. 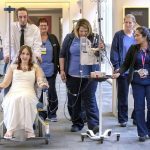 Staff at Penn State Health Milton S. Hershey Medical Center rally with the family of Maggie Garrett and Anthony Chalker to hold a wedding for the couple. 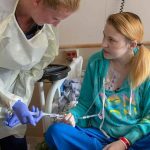 The prognosis for Garrett’s stage 4 cancer gives her only weeks. 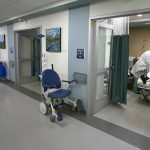 Patients at Penn State Health Milton S. Hershey Medical Center have a safer place to recover from sedation and anesthesia following radiology procedures thanks to the new Radiology Outpatient Care Unit. 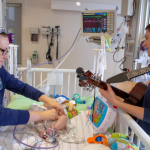 Board-certified music therapists at Penn State Health Milton S. Hershey Medical Center and Penn State Children’s Hospital therapists help control patients’ pain and anxiety, ease adjustment to the hospital setting and promote rehabilitation. 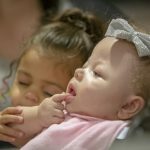 A child with an extremely rare -- and usually fatal -- condition is being discharged after spending the first 13 months of her life in the hospital. 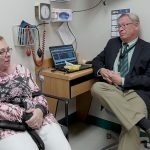 Denise Brown, left, talks to Dr. John Conte about how she feels since he implanted an apical aortic conduit into her heart last February. 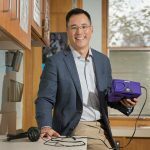 Dr. Jerry Lee, a pediatrician at Penn State Health St. Joseph Downtown Campus uses virtual reality goggles on young patients who are suffering from post-traumatic stress disorder and other conditions to distract them from medical procedures. Alyssa Kibler, a 33-year-old cystic fibrosis patient from Harrisburg, gets lifesaving help from Penn State Health Milton S. Hershey Medical Center as she battles the chronic disease.